Aker Solutions won a contract from Statoil to build the pipeline facilities, modifications and tie-ins needed at the Mongstad terminal to receive oil from the North Sea Johan Sverdrup field. The contract, valued at about NOK 350 million, is for engineering, procurement, construction and installation services. The work will be completed in 2019. “We are pleased to work with Statoil in laying yet another one of the key building blocks for the major Johan Sverdrup development,” says Knut Sandvik, head of Aker Solutions’ maintenance, modifications and operations business. The pipeline receiving facilities will be constructed in an available area at the Mongstad complex on the west coast of Norway and will be tied in to all required utilities and control and safety systems. The facilities will be connected to the six existing oil caverns through a new manifold system, which will allow Johan Sverdrup crude to be distributed to any of the caverns on the site. The contract also includes groundwork and foundation work. The engineering will be carried out by Aker Solutions in Bergen and prefabrication will be done at the company’s yard in Egersund. Local companies will also be involved during the installation phase. The groundwork will be handled by Aker Solutions’ partners. On average, the project will employ about 50 people with an expected peak of almost 100 in mid-2017. 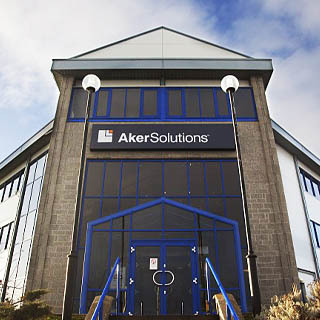 The contract will be booked as part of Aker Solutions’ fourth-quarter order intake.